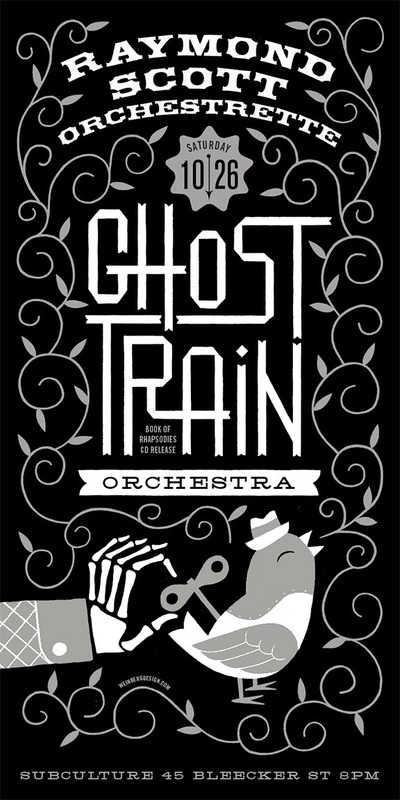 If you missed the Raymond Scott Orchestrette/Ghost Train Orchestra double bill at Subculture on October 26, we have video with decent audio thanks to Mike Nogami, a well-known Japanese photographer who sat near the stage. Our mutual friend, Takashi Okada, has posted 14 clips (seven of each band) on YouTube for your enjoyment. (Links below by title.) Not captured was GTO's grand finale, a spectacular nine-minute-plus arrangement of Scott's "Celebration on the Planet Mars," which closes the band's new album, Book of Rhapsodies. Incidentally, the respective RSO and GTO drummers look remarkably similar. They are, in fact, one and the same: GTO's Rob Garcia filled for the RSO's Clem Waldmann, who had a prior commitment. One of the characters is a real-life Oliver Sacks-type genius and piano virtuoso who discovers Raymond Scott in the 1970s, when people with that kind of mind were generally ignored or misunderstood. The guy thought he hit the lottery. Here's a quote about watching him learn to play "Powerhouse: "The songs starts with a grumpy, mechanized rhythm, like someone stomping downstairs, and later fires up into a madly-escalating riff that has unfinished phrases flying out of the horn section like parts off an assembly line." 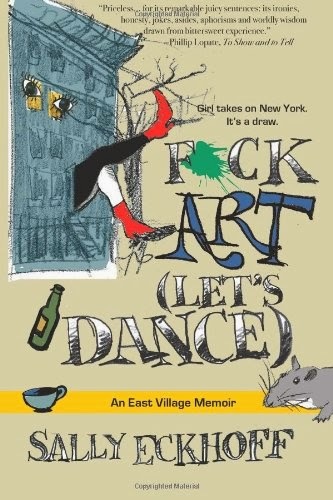 If you want to read something about the East Village that's not full of famous cranky people in black clothes and their famous cranky friends, check out my book. It's brand-new, in paperback and eBook from Water Street Press, and you can get it on Amazon, iTunes, and all the usual places. If you live in the New York City metro area, chances are high you missed the MeanEnsemble's March 2013 performances of Don't Beat Your Wife (Every Night): A Tribute to Raymond Scott and the Perfect World of Commercials at the Baruch Performing Arts Center. We were there—and we didn't see you. In fact, the first night's attendance was about six (not including the band and staff), and the second night's "crowd" numbered about 15. Which is a shame for two reasons: 1) because it was a spectacular and highly entertaining show, and 2) the band hails from Norway and rarely visits the U.S. There was apparently some serious PR fail that resulted in very little public awareness of the event. Nonetheless, the musicians performed admirably and most entertainingly. A high-quality, beautifully directed video of the entire program (as performed in a studio in their home country) will be screened on Saturday, November 23, 2:00pm, at the WFMU Record Fair, held at the Metropolitan Pavilion on West 18th Street. I will introduce the video and provide a little context for those unfamiliar with Scott's legacy. 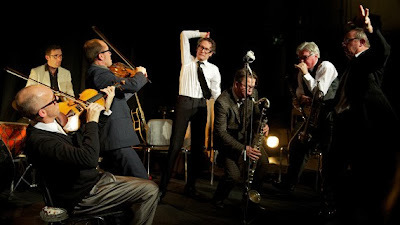 The MeanEnsemble vid will be followed by our friends Sport Murphy, Steve Young and Laura Lindgren's absurdist extravaganza based on their new book, Everything's Coming Up Profits: The Golden Age of Industrial Musicals. 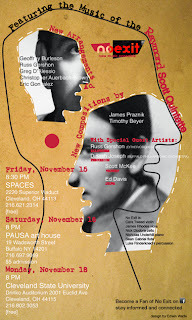 No Exit ensemble will start their fifth season by focusing on the music of the legendary Raymond Scott Quintette, with concerts scheduled in Cleveland and Buffalo (see below). No Exit's artistic director Timothy Beyer says: "We did a series of concerts inspired by jazz luminary Eric Dolphy. It proved to be one of our most popular programs and was a great deal of fun to put together. We're basically doing the same thing this time around with Raymond Scott." This will be the Cleveland-based ensemble's first program to consist entirely of world premiere pieces. 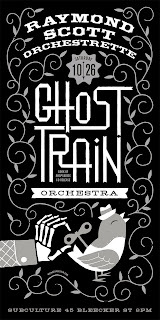 The concerts will feature new arrangements of Scott's music by pianist Geoffrey Burleson, saxophonist/composer and founder of the Either/ Orchestra Russ Gershon, and composers Greg D'Alessio, Chris Auerbach-Brown, and Eric Gonzalez. Also on the program are original pieces by No Exit's own James Praznik and Timothy Beyer which were inspired by the music of Scott's Quintette. Beyer: "Scott was a truly brilliant guy whose genius couldn't be contained within a single medium. 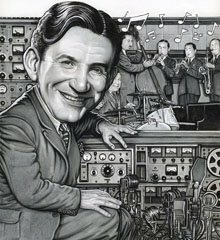 He was one of the early pioneers of electronic music — some of which will be featured on the program along with pieces inspired by his jazz Quintette — and developed many early devices for composing and creating electronic works. He had his own unique sensibility, a very singular vision as to how music should be and didn't seem too concerned with what everyone else was doing. Just a remarkable artist who throughout his prodigious career always seemed to be doing something all his own." Beyer adds: "There has been a big resurgence of interest in Scott's music over the last decade or so. 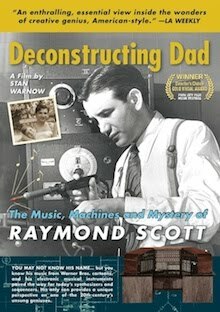 While Raymond Scott may not yet be a household name, most folks have heard his music whether they know it or not. 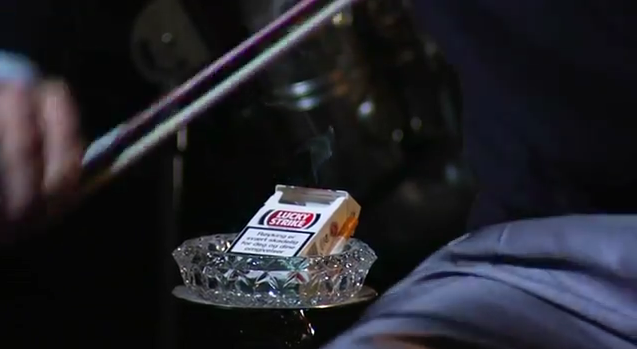 I'm certain that there will be many people at the concerts thinking to themselves, I've heard that tune before!"